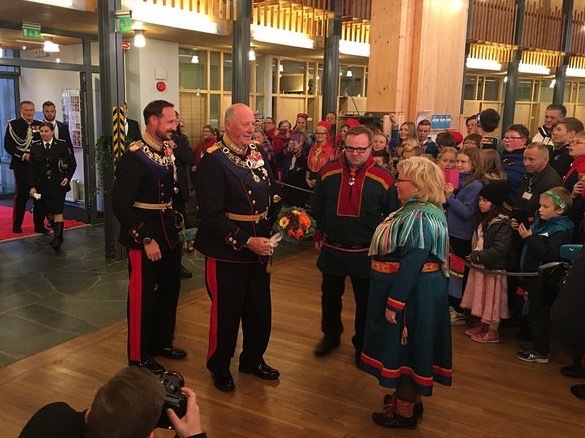 Two days after the new Norwegian Parliament opened amidst traditional pomp and circumstance in Oslo this week, the country’s Sami Parliament (Sametinget) opened in its own blaze of colour and with the monarch present. Both legislative bodies take their traditions seriously. King Harald V and Crown Prince Haakon were welcomed to Sametinget in Karasjok, Northern Norway, by its outgoing president Vibeke Larsen. She not only lost the president’s post but also her seat in Sametinget in the last election, following lots of political turmoil. That didn’t stop her from donning her Sami finery and carrying out her last official duties, before trying to carry on her political engagement through the new small party she’s formed, Siella. It only won 2.2 percent of the vote in her Vesthavet precinct around Narvik. 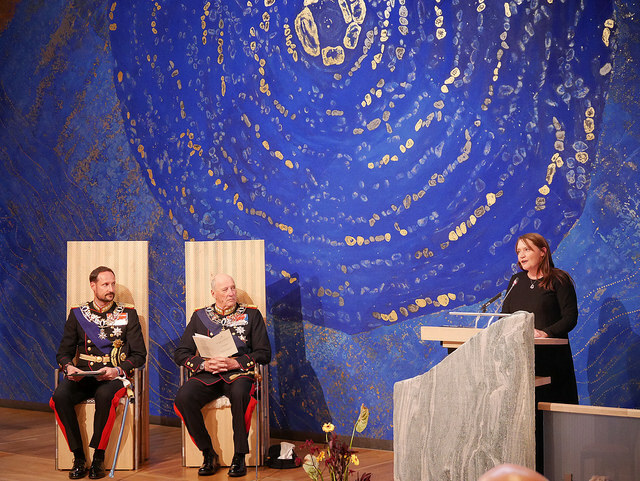 The monarch, who spoke at both the openings of the Norwegian Parliament (Stortinget) and Sametinget this week, held a seat of honour along with with the crown prince, and were also greeted by the new First Vice President of the Norwegian Parliament, Eva Kristin Hansen, inside the Sametinget’s colouful assembly hall. 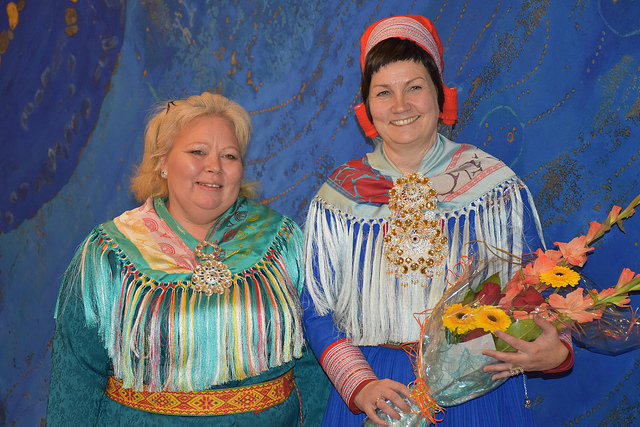 There didn’t seem to be many hard feelings following a turbulent year in Sami politics, as outgoing president Vibeke Larsen, who doesn’t speak any of the Sami languages, posed with the incoming president, Aili Keskitalo of the Norske Samers Riksforbund (NSR) party. Keskitalo is fluent in samisk, and wants to develop proficiency in Sami languages to keep them alive. 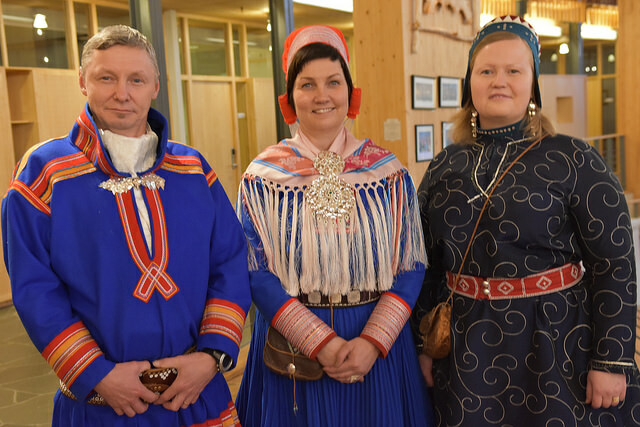 Keskitalo (center) also posed with the presidents of the Swedish Sami Parliament, Per-Olof Nutti, and Finland’s Sami Parliament, Tiina Sanila-Aikio. Keskitalo has said she plans to make further development of both Sami language and culture her top priority as the new parliamentary year gets underway.